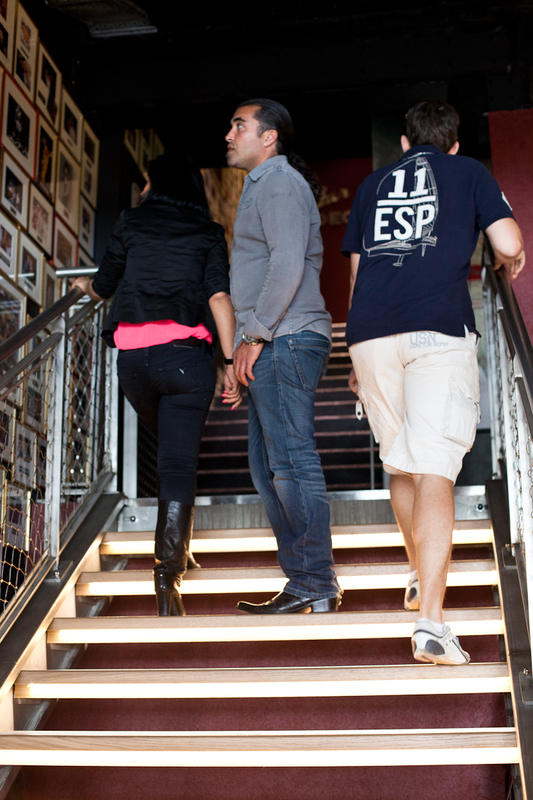 We're back at Stars 'N' Bars today and walking up the stairs to the Star Deck. 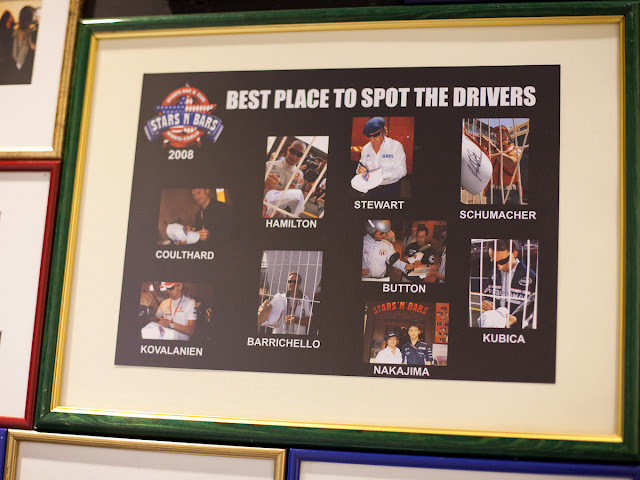 Looking at the photographs on the wall it would seem that anyone who is anyone has been to Stars 'N' Bars - Whitney Houston, Muhammed Ali, all the racing drivers (of course) but sports stars in most disciplines and so many stars of music and film and much more too. Wow, what a cute guy! I don't hope he wants to get married and have children. Interesting. In old "Moods" bar they had this kind of photos in the ladies' room! Maybe they are the same? And now Jilly, the famous Monaco blogger has done the same. The question is, who is going to take your photo! Mohammed Ali, featured in your photo, lives in the little community of Paradise Valley, Arizona, sandwiched between Phoenix and Scottsdale. Mike Tyson also lives here. 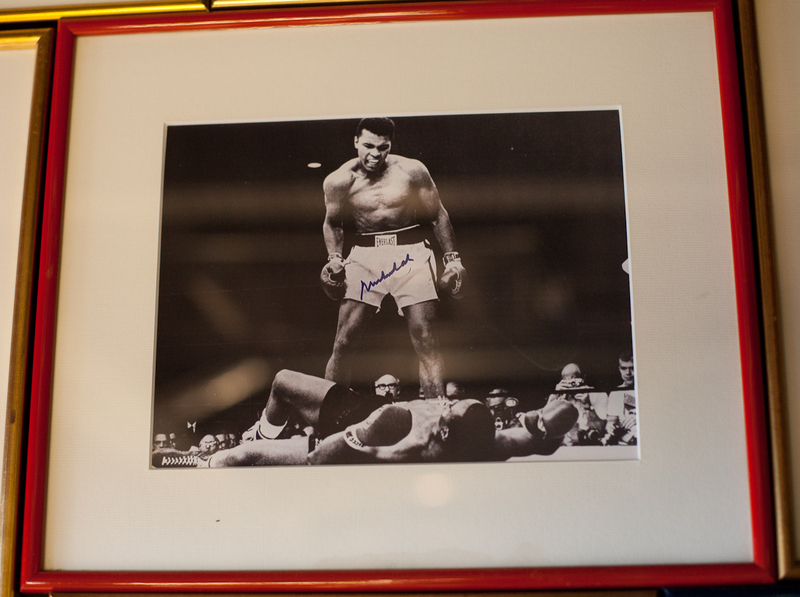 Mohammed Ali, despite his health, is seen at charity and other events in the area.